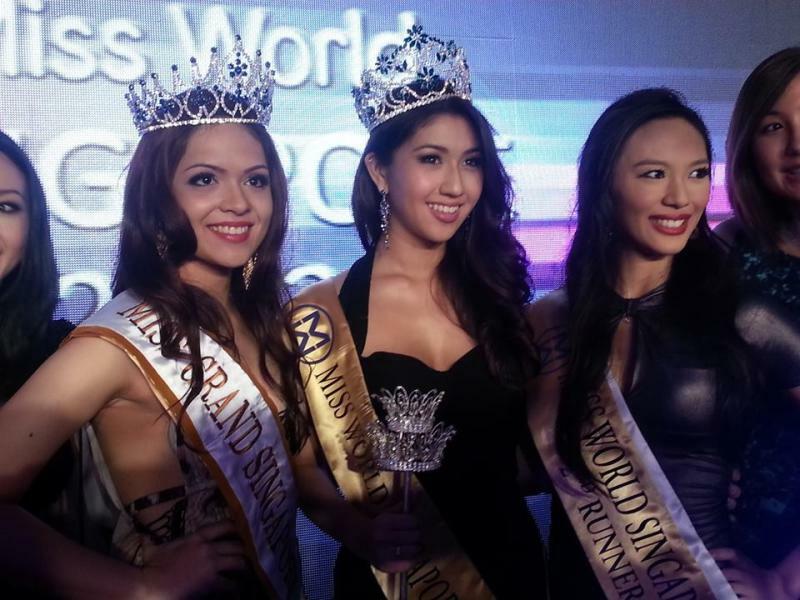 Maria-Anna Zenieris was crowned Miss World Singapore 2013 at the pageant final at the Pan Pacific Hotel on Sunday. The 18-year-old Singaporean, who is half-Chinese and half-Greek, topped the list of 15 pageant finalists during a three-hour gala final, which saw the contestants parade in swim and evening wear. The outspoken beauty, who recently graduated from United World College and is currently studying psychology and international relations, will now represent Singapore in the Miss World finals in Jakarta on 28 September. When asked how she would use the title to give help to others during the question-and-answer session, she said to loud applause, "I'm a big charity worker and will engage in more charity work with the title. This is not just a big title to take with you, there are responsibilities that come with it". After her win, she later told Yahoo! Singapore that she's ready to take the responsibility that comes with the crown and said all the finalists had done a "good job" and that she was proud of them. Student Elizabeth Houghton, 18, was first runner-up and also won Miss Grand Singapore title. She will represent Singapore in Miss Grand international pageant next May in Thailand. 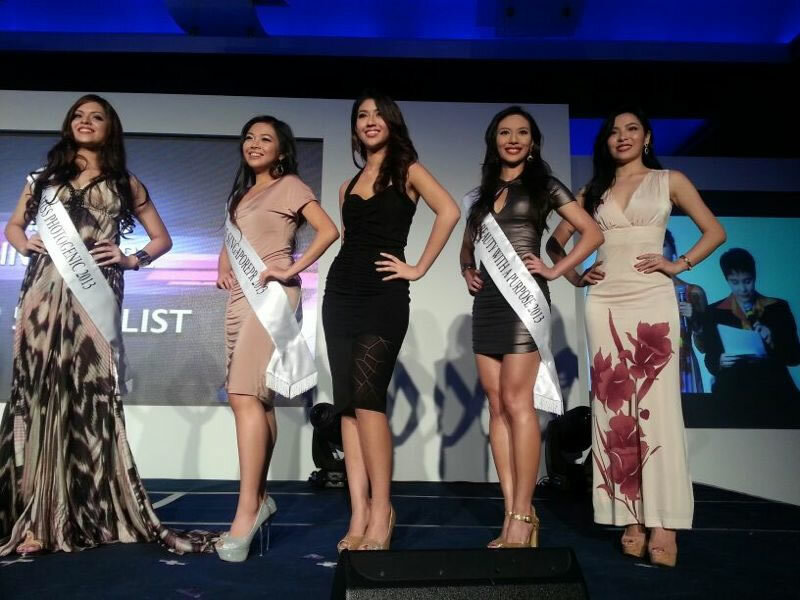 Second runner-up went to 23-year-old university graduate, Rachel Leng, who also won Miss Beauty with a Purpose. However after the final, one of the contestants who didn't want to be named told Yahoo! Singapore that she believed all the finalists in the top 5 had bought tables to up their live audience votes. "The top two bought the most tables," she said, claiming that other finalists were "upset" because everyone who bought tables got to the top five and top three," she added. The run-up to the final was dogged by controversy over the judging criteria and the live audience voting component which formed 20 per cent of the results. Physical appearance (35 per cent), performance (25 per cent) and talent (20 per cent) made up the rest. Several finalists had reportedly objected to the audience voting criteria, which required contestants to pay to book tables at the final venue. A premium table (which will be placed near the stage) for 10 people costs S$5,000 while one located further from the stage may cost S$3,000. An individual ticket costs S$350 per person. Several contestants deemed the audience voting component “unfair” as it favoured contestants who had friends and family members who could afford to buy seats or tables for the event.